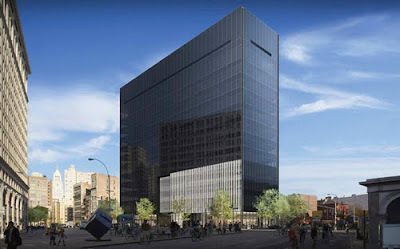 EV Grieve: How about this for a new 51 Astor Place? Last week, the 51 Astor Place People released new renderings of 51 Astor Place ... and not everyone is so keen on the look of the Fumihiko Maki-designed office building. 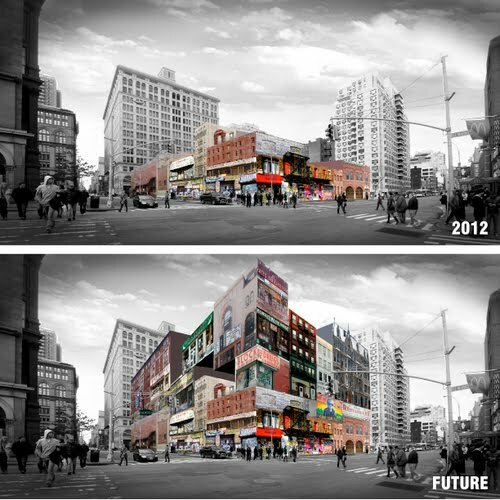 Our friends at Curbed asked their readers to redesign 51 Astor Place. And here is the winner. The winner, Dustin Tobias, received a $100 gift certificate to St. Mark's Bookshop. "The proposed building would be composed of fragments of lost East Village landmarks. An unfinished work, the building would be continuously assembled, growing taller and more visible as the neighborhood continues to vanish." Check out some of the other submissions here. So in love with this. It's like a mini promised land!